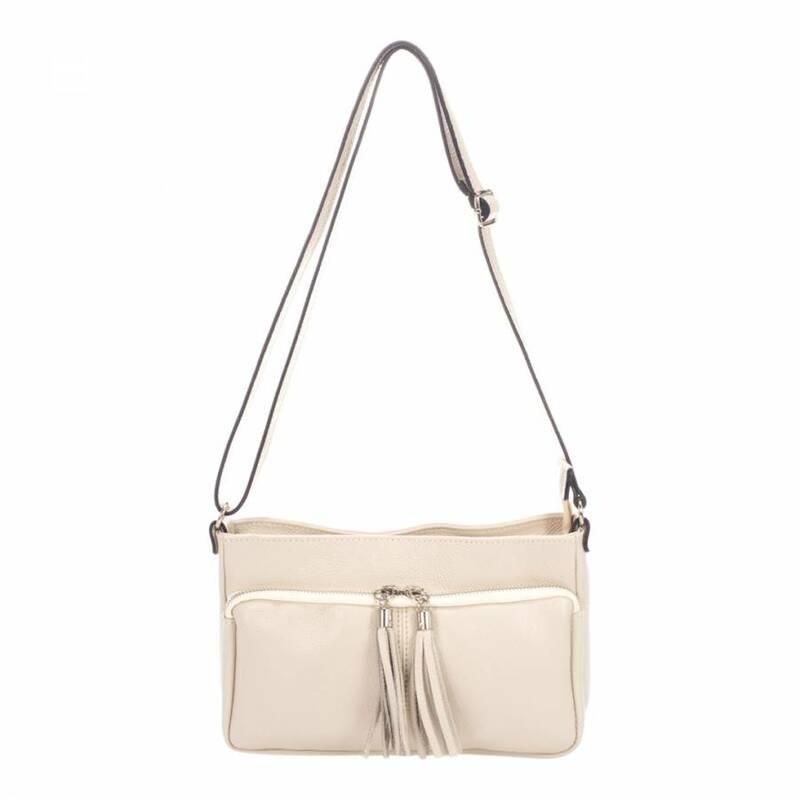 Tassel Crossbody Bag. Front zip pocket. Top zip closure. Interior zip pocket. Shoulder strap for 120 cm. Colour: cream.